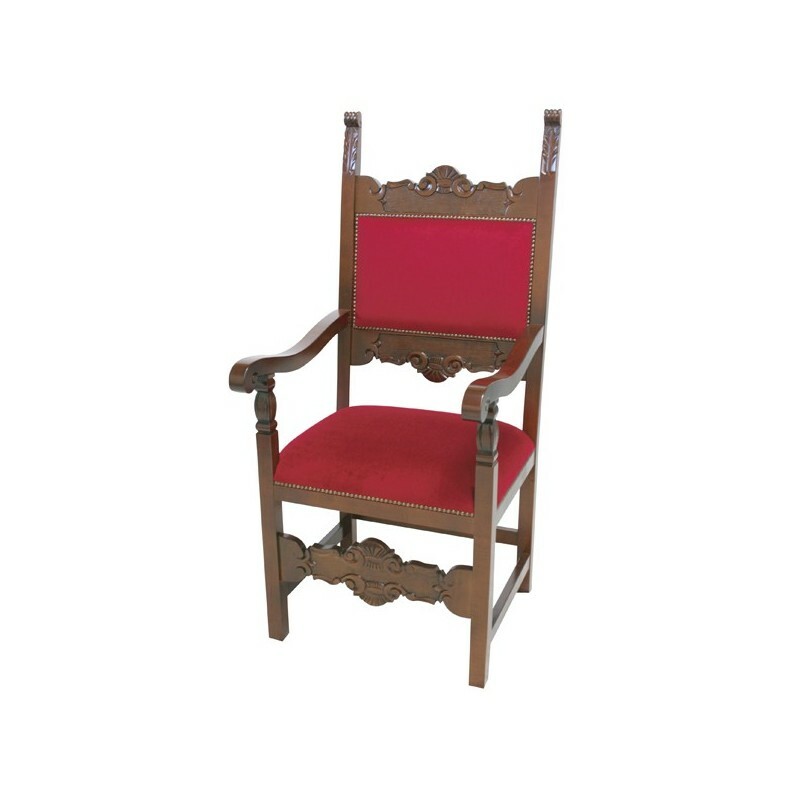 Wooden fratino armchair, walnut dye, with red velvet filling. 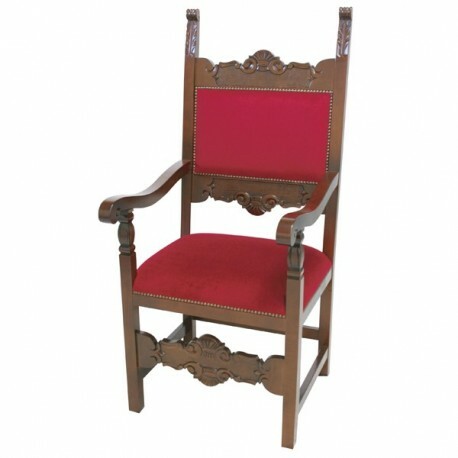 "Fratina" series armchair in walnut-colored solid wood with carvings, upholstered seat and back and upholstered in red velvet. Height 126 and width 56 cm. Possibility to change the color of the velvet. Product made entirely by hand by expert craftsmen in Italy.